I upgraded to the most recent version from a very old one (pre-1.2). Tried to apply a few WMC tweaks to a client in order to get 3 hours of guide listings in the grid. 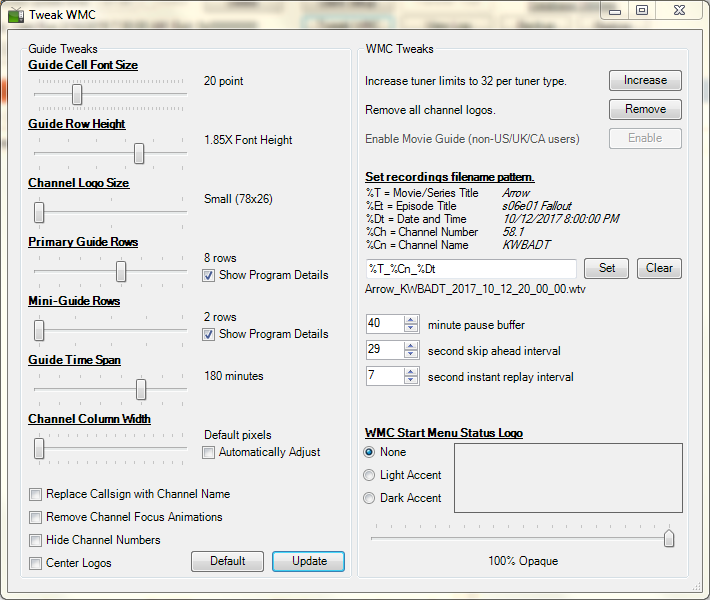 No matter what I set however, channel call signs text is too large for the available label space and the bottom 1-2 rows of pixels in the text is not visible. I can go back to "default" which restores the original text. Is there a fix that I'm not using properly? I'll check it out, see if I missed something. Could you post what your tweak settings were (font size and ratios ...) I'll see if I can recreate. The text placement doesn't look right, so I wonder if it failed to apply the tweaks to both resource files in ehshell.exe. Programmatic-wise, the call sign font and vertical location should be the same as what you see for the channel numbers. I'm not 100% sure these settings are the same as the ones in the previous^ capture but they have the same result. I tried adjusting those that I thought might have some effect on the call sign text already (row height, cell font size, ratio) with no effect on actually restoring the last few pixels of the call sign text no matter what I chose. Clearly though some of the changes made have an effect on the guide (I have 3 hours of guide listings in the grid, which was what I was after). 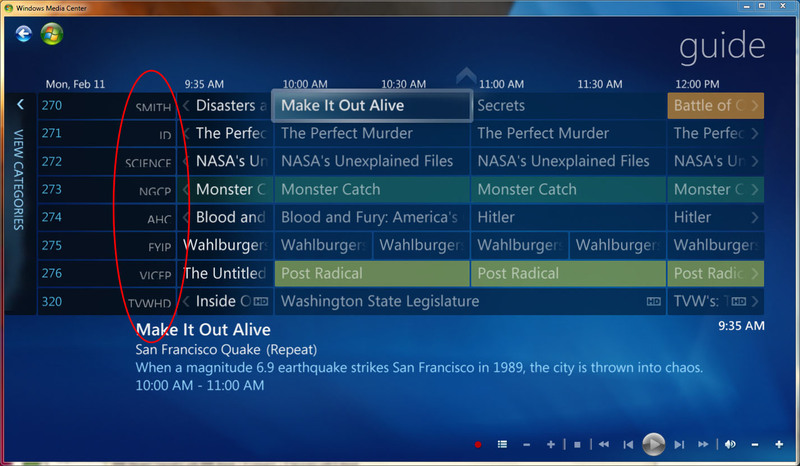 If you change the channel logo size to medium, does it change anything? Cool. Now I know where to look.